Find a vacation home to rent in Bunschoten from our list of vacation rental properties. Campaya has over 10 vacation homes available in Bunschoten, which give you the possibility to locate a unique accommodation in Bunschoten which completes your check-list in search for the perfect self catering vacation apartments in Bunschoten or vacation villas in Bunschoten. Enjoy a relaxing holiday in this beautifully landscaped and secluded holiday home on the lakefront. This holiday home is on the edge of a beautifully located marina. This comfortable, post-card type home is situated in a holiday resort with 35 homes in De Veluwe Nature Reserve right on the harbour. Enjoy a wonderful view of Eemsee. This bungalow is situated in a holiday resort with 35 homes near Amsterdam, Utrecht, Amersfoort and De Veluwe Nature Reserve. The holiday home is located at the entrance to the park. This cosy and comfortable post-card type home is in a modern holiday resort, which has 35 homes and is located in De Veluwe Nature Reserve near the harbour. Enjoy a view of Eemsee. This comfortable home is in a modern holiday resort with 35 houses in De Veluwe Nature Reserve, near the harbour. This home has a wonderful view of Eemsee. This comfortable home with a terrace heater and an automatic awning is situated in a newly built holiday resort with 35 houses in De Veluwe Nature Reserve on the harbour. This cosy, typical post-card type home is located in a modern holiday resort with 35 homes right on De Veluwe Nature Reserve on the harbour with view of Eemsee. 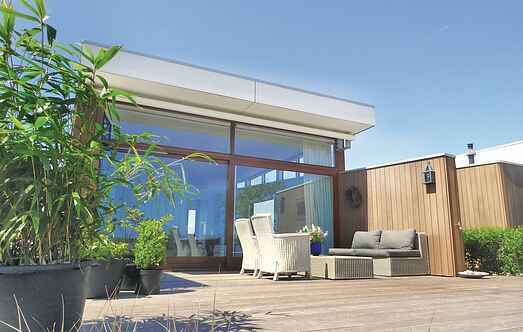 This modern holiday resort with 35 houses is located right on Eemsee near the cities, Amsterdam, Utrecht and Amersfoort. This comfortable home is situated in a newly built holiday resort with 35 houses in De Veluwe Nature Reserve on the harbour. Enjoy a wonderful view of Eemsee from these homes.